We’ve got the capacity to get things done for you. 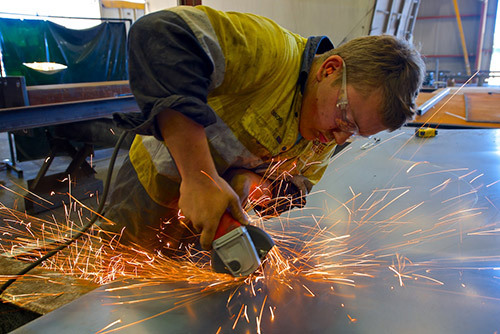 A significant proportion of what we do happens right here at Albury Steel Fabricators. Because of our broad range of equipment and our highly-skilled workforce, we rarely need to sub-contract out your work. We get things done on time, on budget and we can control the process from beginning to end. This in-house capability gives us a huge advantage when it comes to providing quality outcomes and getting things done quickly for you. 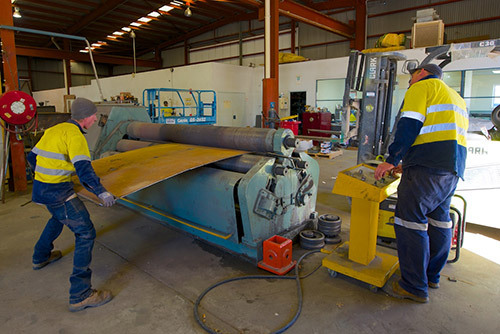 Offsite, we regularly manage maintenance programs and plant upgrades. 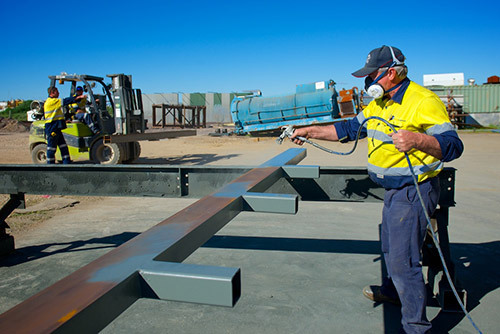 Albury Steel Fabricators has the capacity to design, implement and monitor all your steel fabrication needs. Call us to find out how we can help with your next project. Sandblasting equipment with reclaim facility.